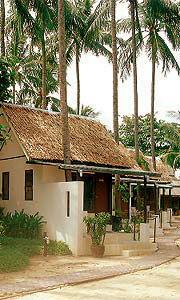 Welcome to Silver Sand Beach Resort, Koh Tao, Surat Thani, Thailand. 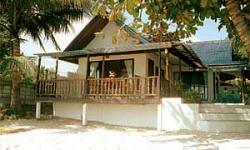 Silver Sand Beach Resort is located on the white fine sandy Chaweng Beach, Koh Tao, Surat Thani. The area's natural beauty and pace of living, offers vacationers a authentic living charm, that shouldn't be missed at all. Be surrounded by beautiful tropical flowering grounds, tranquility and a Resort comfort, that offers travelers an unforgetable experience, whether for a romantic getaway or just for spending relaxed holidays with your entire family. 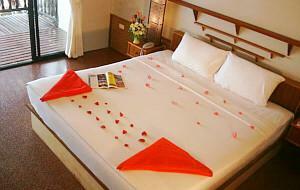 Silver Sand Beach Resort is designed in authentic Samui Tropical Style, but offers a modern Flair as well. The Resort features free parking space and the nowadays well known Sandies Beachfront Restaurant and Bar with a wonderful sea view over the Gulf of Thailand. Our location makes it very convenient for guests to visit all shopping centres, dining places and offers easy access to lots of other activities around Chaweng Beach. 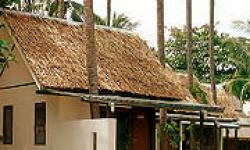 We have combined casual with friendly, efficient service creating the best place for our guest's. Silver Sand's guest rooms are as wonderful as its setting. Sandies Beachfront Restaurant and Bar offers Thai, Seafood, and European cuisine with great taste of various tropical drinks on the list. A more casual atmosphere is always available at our Silver Sand Beach Bungalows. Recreational amenities range from relaxing on the soft sandy beach, water skiing, beach volleyball or Thai massage on the beach.